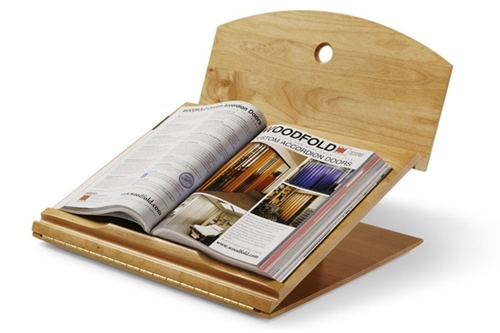 Book stand holds even the largest books. 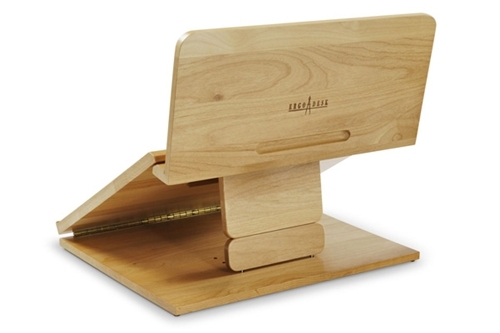 Writing slope easily adjusts to 4 angles from 15°- 22° for personal comfort. Optional Angle Extension accessory adds height for more upright reading angles. 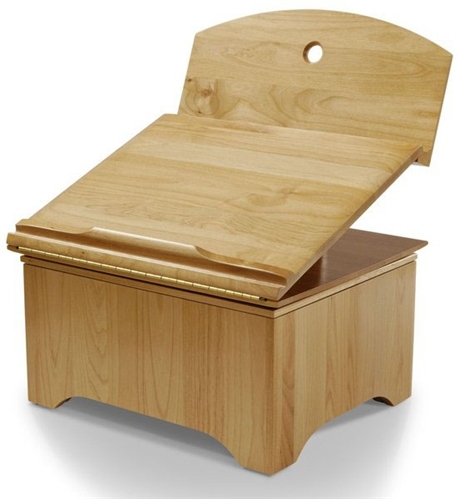 Handcrafted from sustainable Oregon Red Alder with beveled edges and elegant finish choices. Brass fittings for beauty and durability. 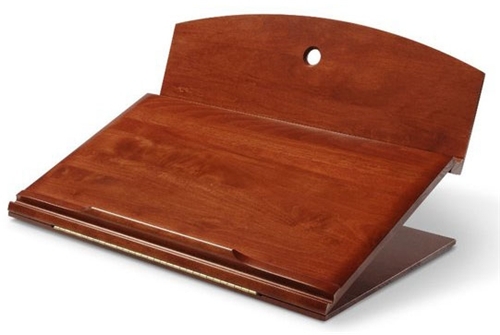 Low-profile bottom ledge keeps papers in place without interfering with writing. Dedicated pen groove keeps pen and pencil handy and away from reading materials. Folds up for travel and carries like a briefcase. Medium: 18" wide, 14½" deep. 10 pounds. Large: 25" wide, 14½" deep. 12 pounds. As a first year law student, I easily spend more than five hours every day sitting at my desk and reading. The Ergo Desk Designer (Large) has been a lifesaver. It has completely eliminated the neck pain I used to get after hours spent reading. I love that it is large enough to hold my casebooks and my notes. The desk seems very well built and I hope it lasts many years.